Jerry Ireland, the controversial founder of United Farmer Veterans of Maine, said his problems were harming the organization's progress. Jerry Ireland of Swanville has stepped down as head of United Farmer Veterans, the nonprofit organization he founded. Jerry Ireland, the controversial founder of United Farmer Veterans of Maine, resigned as chief executive officer of the organization Thursday night. Ireland, a farmer in Swanville, announced his decision to the organization’s board at its quarterly meeting Thursday, said Don Todd, the executive director of the group. Ireland also announced the decision in an email to the Portland Press Herald Friday morning. Ireland, who is also a candidate for the Maine House of Representatives, has pleaded not guilty to 13 counts of animal cruelty connected to the slaughter of pigs shortly before state animal welfare agents investigating his treatment of animals visited his farm. He has also been sued by the town for failing to comply with ordinances connected to a building on his farm and was arrested twice after failing to appear in court on a charge of driving with a suspended license. His replacement as CEO of the veterans group is Chris Phillips, a retired Army officer and a farmer in Troy. Phillips was chief financial officer of UFVME and will serve as interim CEO for six months, said Mark Wellman, chief marketing officer of the organization. Wellman said the board will pick a permanent CEO at the end of that period and he said the board is leaving open the possibility that Ireland could return as the group’s top officer. A dispositional hearing on the charges of animal cruelty was held Tuesday, Wellman said, and the next court date is set for October. 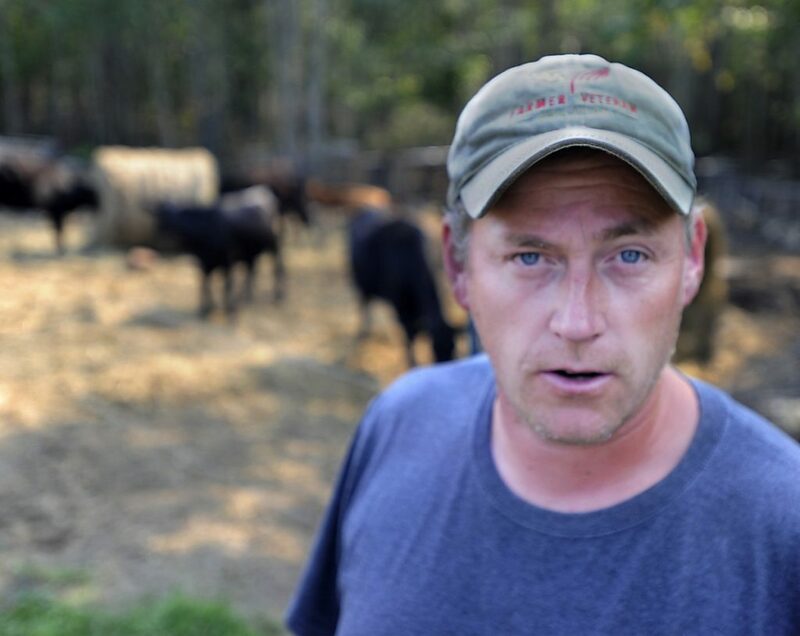 But Ireland recognized that his problems “had a very negative effect on United Farmer Veterans of Maine and he didn’t want that to happen,” Todd said. “It slowed up a lot of the positive things we’re working on and I’m going to leave it at that,” Todd said. The organization is devoted to helping veterans adjust to civilian life through farming. Todd said veterans are encouraged to work on farms and then pursue farming on their own. The group has contacts with a wide array of programs designed to help farmers get started and to support them as they build their businesses. UFVME has more than 400 members, including more than 230 active farmers, Todd said. He said one project involves building cottages for returning veterans on Maine farms, with a goal of encouraging the veterans to work on the farms and possibly pursue agriculture as a career. “We are finding that farming is very therapeutic to veterans,” Todd said. The first cottage built by the group was constructed on Ireland’s property and led to the lawsuit filed by the town of Swanville, which alleges that Ireland didn’t get the proper permits for the building. Todd said UFVME was certified as a non-taxable charitable organization by the Internal Revenue Service in October. Todd said it recently filed an IRS Form 990, a financial report required of nonprofits, but it hadn’t been posted online as of Friday afternoon. Both Todd and Wellman declined to reveal the financial information in the form. A shorter filing at the end of 2017 only said that the group had receipts of less than $50,000. Todd said he would forward a request for comment from Phillips, but Phillips didn’t call the paper by late Friday afternoon.